1. 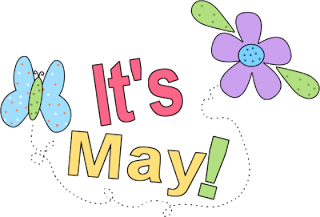 May has arrived with the promise of the flowers ensured by the April rains. 2. Happy May Day, a holiday celebrated by most of the rest of the world, but not the United States. 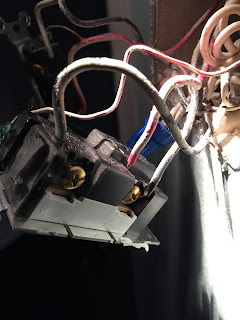 3. Who would have believed it, but a faulty extension cord cost me over 8 hours of electrical troubleshooting. I did get familiar with a lot of electrical devices in the house. 4. The deer around our neighborhood are fearless. A couple of them came into our yard yesterday, in broad daylight, to sample the plants in our garden. 5. It is getting more dangerous every day to fly it appears. A Delta Airlines pilot hit a woman to break up a flight. 6. I was able to get the lawn mowed today. It has become a weekly activity again! Yay! "I remember the old story about a businessman who after many years of dutifully keeping the records and documents required by the Federal Government in his particular business, and with the files really piling up, he wrote the Government asking if he still needed to keep all the old documents. And a letter came back saying, 'Well, it's okay, you can throw away any papers more than 8 years old provided you make copies of each one of them first.'"